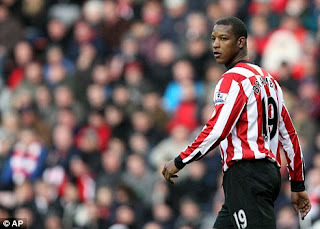 Sunderland defender Titus Bramble will go on trial on Monday accused of sexually assaulting two women. The 30-year-old is charged in connection with alleged incidents during a night out in Yarm, Teesside, on September 28 last year. The defender, of Wellington Drive, Wynyard, near Middlesbrough, faces four charges all of which he denies. Bramble who started his career at Ipswich Town and also played for Newcastle and Wigan Athletic before signing for Sunderland, is accused of indecently touching one alleged victim. In the second count, he is alleged to have touched another woman’s leg and moved his hand towards her crotch without consent.